"HONEY STOP THE CAR!!!" For this fabulous brick beauty in close in East Cobb. Easy access to I75. This 6 BR/3.5 BA home has it all. Full finished bsmt w/full kitchen. Hardwood floors, Gorgeous renovated kitchen w/granite countertops, s/s appliances. 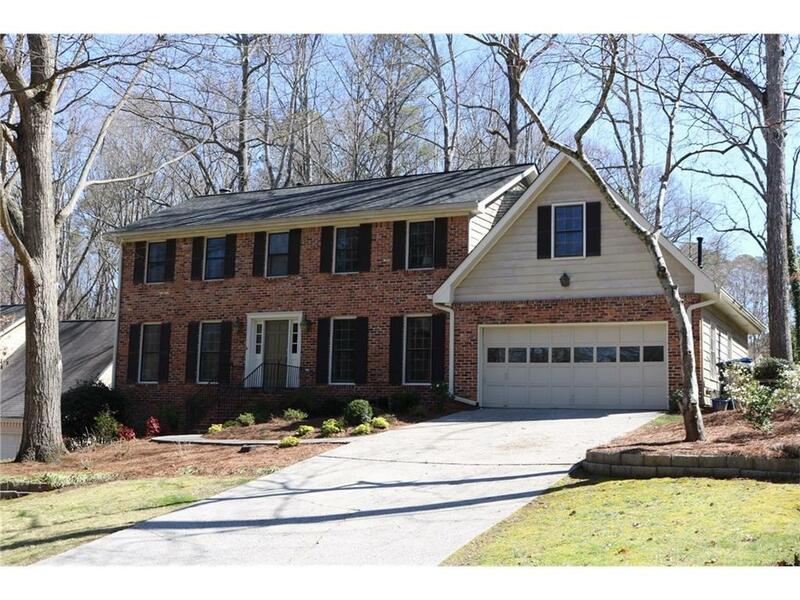 Large master suite w/new renovated master bath! 3 large secondary berms PLUS huge bonus/5th bedroom. Enjoy your morning cup of coffee from the screened in porch overlooking park like backyard. This kid/pet friendly backyard is perfect for nights under the stars enjoying the outdoor fire pit for an evening of entertaining. Directions: N On Johnson Ferry Over The Chattahoochee River. L On Lower Roswell Rd. Rt On Old Canton Rd. Rt Onto Indian Hills Dr. Rt Onto Birchfield Dr. Home On L Or North On I-75. Exit Onto Delk Rd. Take Delk, Which Changes To Terrell Mill And Then Changes To Lower Roswell Rd. Turn Left Onto Old Canton Rd.